YEA Camp is a life-changing camp for world-changing teens! Youth Empowered Action (YEA) Camp is a unique summer leadership camp for 12-17 year-old change-makers who want to make our world a better place. 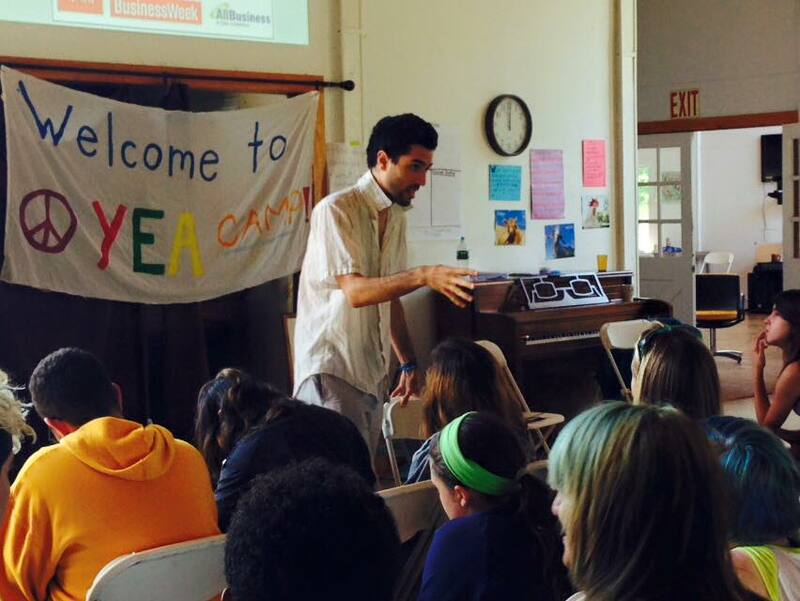 Founded in 2009, YEA Camp is week-long sleep-away camp with sessions in beautiful locations in CA, OR, and NY. At YEA Camp, campers choose an issue of importance to them (for example, many campers focus on climate change, racism, homophobia, homelessness, or animal rights), and at camp they build the knowledge, skills, confidence, and community to take action on that issue once they get home. Oh, and YEA Camp is super fun!! We make art, play games, have dance parties, and make really close friends – and often get closer than friends from home. Youth who have participated in our programs report that YEA Camp was one of the most fun, memorable and life-changing experiences they have had, and, with YEA’s support, campers have gone on to start school clubs, plan fundraisers for nonprofits, change school policies, and so much more to make a difference on causes that matter to them. Visit www.yeacamp.org to learn more about YEA Camp and to register for this summer. Message us with questions! Our week-long leadership camps are located in California, New York, and Oregon, though campers from all over the country fly in to attend our unique program. By choosing to support Youth Empowered Action! Your generosity will enable us to provide programs for teens who want to make a difference, including our Youth Empowered Action Camp (YEA Camp). We appreciate your commitment to youth and to empowering the next generation of change-makers!